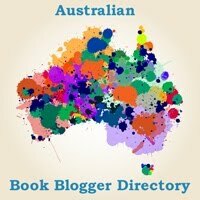 An excellent sampler of contemporary Australian authors. 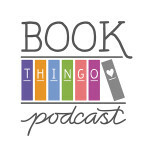 I rode the weekend on a wave of literary pleasure. The most startling thing about this anthology is that most of the works feature love stories. I rode the weekend on a wave of literary pleasure. It’s worth buying a book listed in this year’s Book Alive Guide just for this anthology, 10 Short Stories You Must Read, which isn’t available for individual sale. The collection starts off with Robert Drewe’s brooding story of unrequited love, in which the object of the protagonist’s desire happens to be his best friend’s wife. I very much doubt I’d read this as a novel, but the beauty of the short story is that it usually ends before properly resolving the central dilemma. A View of Mount Warning is no exception, which means I can cheerfully imagine the unfaithful husband dying from a Viagra-induced stroke, thereby freeing his wife and best friend to have their happily ever after. Tom Keneally’s Blackberries was the biggest disappointment for me. Perhaps my expectations were too high, or his narrative style is a little more ponderous that the other writers’, or it may just be that I had no sympathy for his protagonist—a middle-aged high school teacher who develops an infatuation with his new student, a Sudanese refugee. The prose smacked too much of Bringing Home The Message. It failed to move me. Life in a Hotel Room by William McInnes was almost a showstopper. Certainly, it would’ve been a wallbanger had I not been in a perfectly civilised cafe at the time. His protagonist reflects on his life of constant business travel. At a hotel, he meets—wait for it—a Philippino. OMGWTF?!? I had to read it about 5 times. I thought, Maybe it’s deliberate. But in the absence of any other cues, what’s a reader to assume, especially given that the protagonist is such a well-travelled fellow? Author fail. Editor fail. All sorts of fail. My least favourite protagonist in the book has to be Duncan in Peter Temple’s Ithaca On My Mind. I felt nothing but contempt for the obnoxious, egotistic writer past his prime and his miserable life surrounded by sycophants, enablers and gold-diggers. The twist at the end is unexpected, but my appreciation was significantly muted by my desire to see every character in the story jumping off a cliff. The female authors—and protagonists—provide relief from their more sombre male counterparts. I don’t feel I liked them better because they’re by and about women per se, but because the majority of these stories are more whimsical, more humorous, more optimistic. In that sense, I suppose, there’s some lack of diversity in this anthology. Kathy Lette provides a respite following Drewe’s rather gloomy piece. Hate At First Sight is an irreverent, non-PC exploration of beauty and what happens women use it to measure their self-worth. Lette pokes fun at Sydney’s man drought and city/country prejudices. ‘Ah … I hate to break it to you, but I don’t think that’s what’s meant by the rabbit-proof fence,’ Louise punned superciliously. I bought one of Lette’s books that afternoon. Anita Heiss and Toni Jordan offer some lighter fare. In You Can Change Your Life, Jordan uses a self-help seminar as a backdrop for a most unusual first meeting. This story has more of a chick-lit feel, and while I appreciated the humour, I didn’t feel altogether satisfied by the end. Still, the story shows Jordan’s strength in internal narrative and her engaging way of describing things. Maybe I’m biased because she wrote Addition, but skip this story and just buy her book. ‘And I bet they don’t have a Big Poo like Kiama, either,’ Max threw in, which even made Mum giggle. That said, I couldn’t empathise with Lauren. Her lack of self-esteem was frustrating, and she doesn’t change much by the end except maybe to realise how silly she is. Monica McInerney’s older, rather unusual protagonist is a welcome contrast from most of the comedic heroines in the anthology, and so too is the more internalised narrative in Elizabeth’s News. I love the notion of healing and making human connections through stories. McInerney explores grief and recovery, and the uniqueness of that process, which may be difficult for others to comprehend. In Elizabeth, McInerney conveys the sheer pleasure of pleasing oneself. But my favourite in the anthology is a beautiful, bittersweet tale by Melina Marchetta. Surprisingly, it features a male protagonist. Twelve Minutes explores the innocence of love, its frailty against—and ability to survive—life’s cataclysms. It goes from euphoria to devastation in one flick of a page. It’s a story about risk and vulnerability and grief and it’s so poignant and heartbreaking and lovely that I read it twice in one sitting. Marchetta’s style is excruciatingly subtle, every sentence packed with nuance without crowding the reader. I’m convinced it ends happily. It must. 10 Short Stories You Must Read is an excellent sampler of contemporary Australian authors, and I’d be surprised if you couldn’t find at least 1 story that entices you to pick up a book by the author. This anthology will keep you company on public transport or the doctor’s surgery. It’s the gelateria of books—you may not love all the flavours, but there’s nothing to lose by trying, you’re done in about 15 minutes, and if you’re lucky, you’ll be left wanting more. 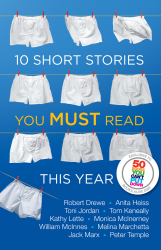 10 Short Stories You Must Read is free when you purchase a book featured in the Books Alive guide. 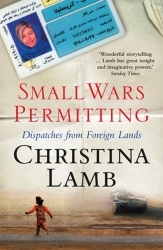 The offer is available from participating bookshops until September 30. 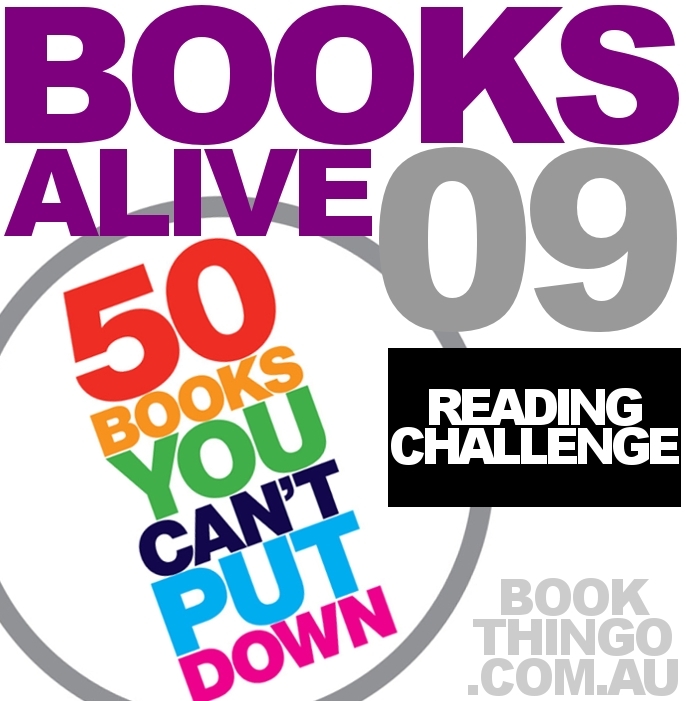 Tagged 2009 releases, anita heiss, anthology, australian authors, jack marx, kathy lette, melina marchetta, monica mcinerney, peter temple, robert drewe, tom keneally, toni jordan, william mcinnes. Congrats on finishing The Pub Challenge! Maybe it’s just me but I found something amazingly synergistic in most of theses stories. Things I myself had thought,said or lived through recently.Blew me away.Perfect format.